Granted I’m still working on some elements (for example, no upgrade level indicator nor is there a lives indicator) but the rest of the essentials are there. This next week I plan to spend on the next level as well as cleaning up some stuff in the back end. So today I finally slapped some more enemies into the mix as well as added health and score systems. You can check out the results of that here on YouTube. Granted there are some problems. The score and high score aren’t aligned vertically, it’s still a bit too easy to die, and the level boss shows up after 10 seconds (although that was a test of the timer). I’m feeling really good about where I am at this point of the month though, with 1/3 of it down I have almost all the framework in place to just bulldoze on ahead and make my game. 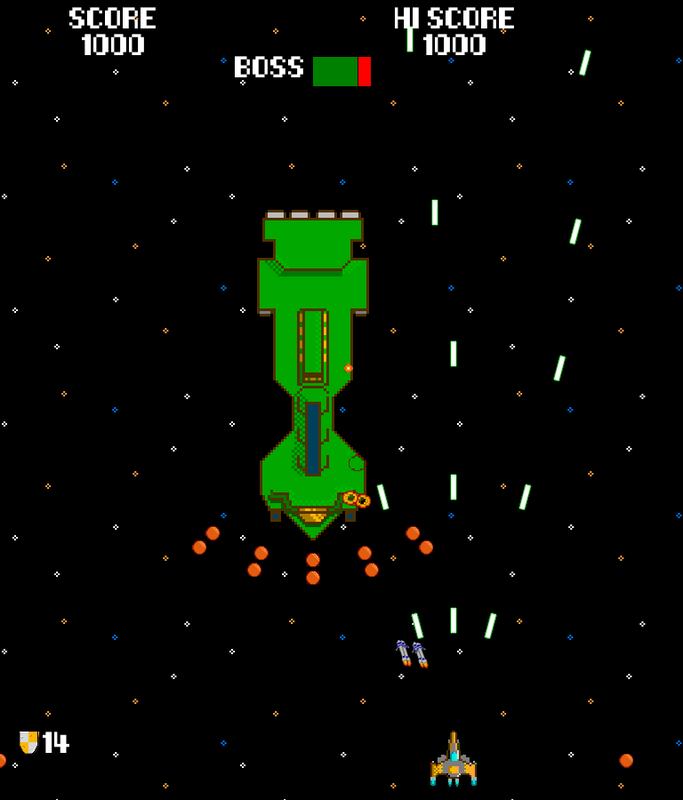 Back in 2010 I created a Geometry-Wars-esque game I called “Ablative Starfighter”. 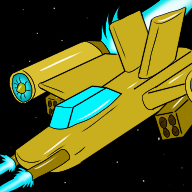 In it your upgrades affected your speed, but you could eject them as a bomb weapon. 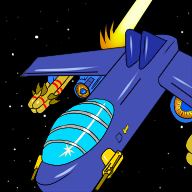 For March in One Game a Month, I am revisiting that concept as I originally envisioned it: a Vertical Shooter. Right now I’m calling it “Ablation” instead of Ablative Starfighter since I like the conciseness a bit better. 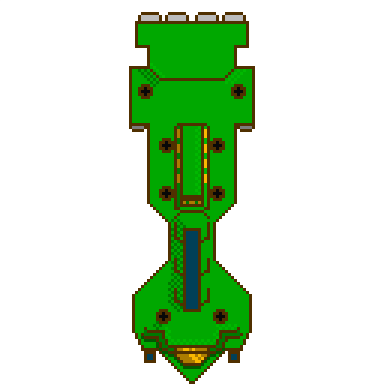 I’m hoping 384×384 is big enough, considering my player sprites are going to be about 64×64. Guess we’ll have to see what the rest of the month brings.